You Are Here: Home > Lessord Chrysler Is Now Peake Chrysler Dodge Jeep Ram FIAT! Lessord Chrysler Is Now Peake Chrysler Dodge Jeep Ram FIAT! For nearly 100 years, our Chrysler dealership has been serving the greater Sodus community as a family-owned and -operated business. Carrying the torch from the Ross family in 1994, Lessord Chrysler Products has had a record 22 years of growth, bringing jobs to Wayne County, fostering steadfast relationships, and loving what we do: serving you! Now, in October 2016, we’re excited to announce that another opportunity has presented itself to take 6551 Pratt Road’s operations to new heights under a new name. Thad Peake has been the General Manager of Lessord Chrysler since 2010 and a partner in the dealership since 2013. He has played an integral role in Lessord Chrysler Products’ many successes, and we’re overjoyed to pass the torch to Thad and his family! With transitioning ownership comes a new name too, as Lessord Chrysler is now Peake Chrysler Dodge Jeep Ram (drumroll please) FIAT! Acquiring FIAT is just one of the first thrilling endeavors of our family dealership’s future story with the Peakes! The Peake family is thrilled to continue working hard to uphold the values and commitments set forth by the Lessords while ushering in new offerings and services for an even better dealership experience. We thank you, our customers, for your loyalty and support during this transition. Stay tuned for Peake Chrysler Dodge Jeep Ram FIAT’s grand opening event in early 2017. To find what you’re looking for now, check out these key areas on our website. Here’s to the road ahead! 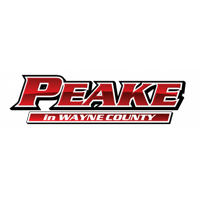 Peake Chrysler Dodge Jeep Ram FIAT	43.236646, -77.094478.